What are my tile options for my Charlotte master bathroom remodel? When it comes to remodeling your bathroom, tile seems to be the place most people start. 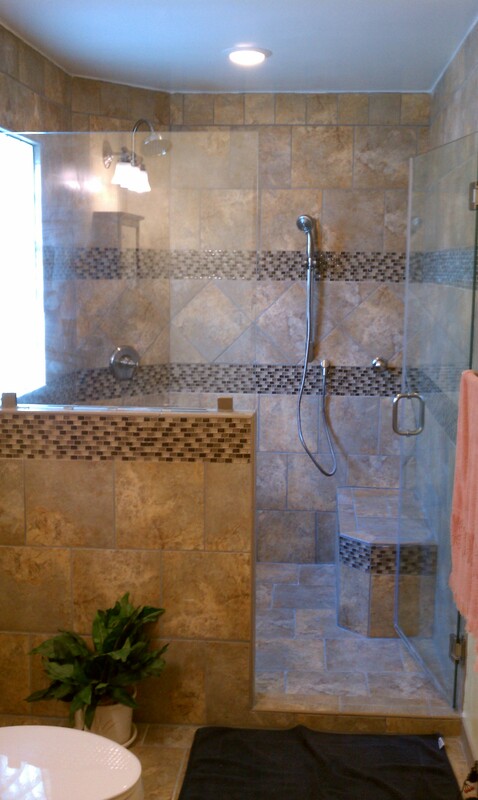 Whether it be for new bathroom flooring or shower walls or shower flooring, there are choices! 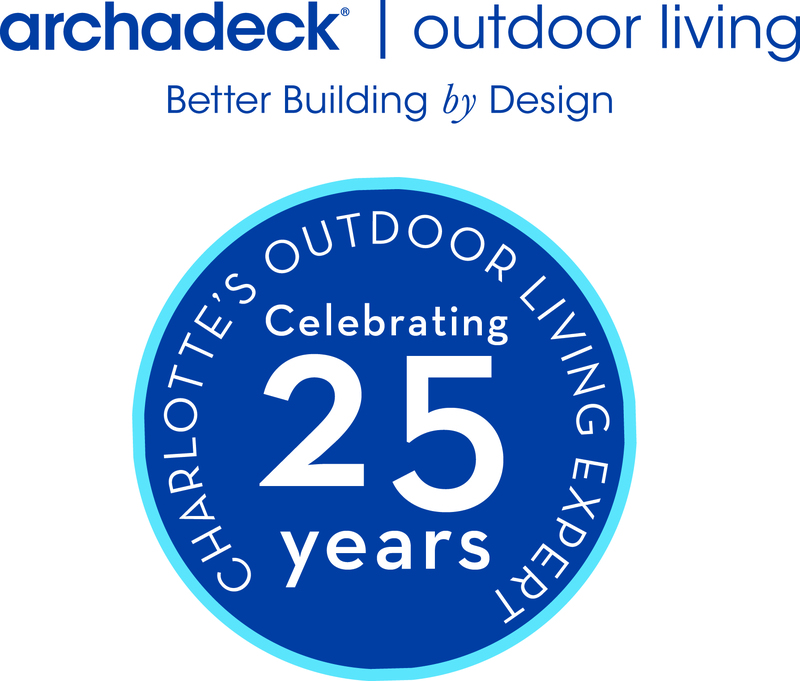 Value Remodelers and Handyman Services (an Archadeck of Charlotte company) specializes in kitchen and bath remodeling and spends literally hours researching new tiles and their appropriate applications each and every year. We go to the various trade shows and work with local retailers such as The Tile Collection here in Pineville, NC to identify the latest trends and styles. 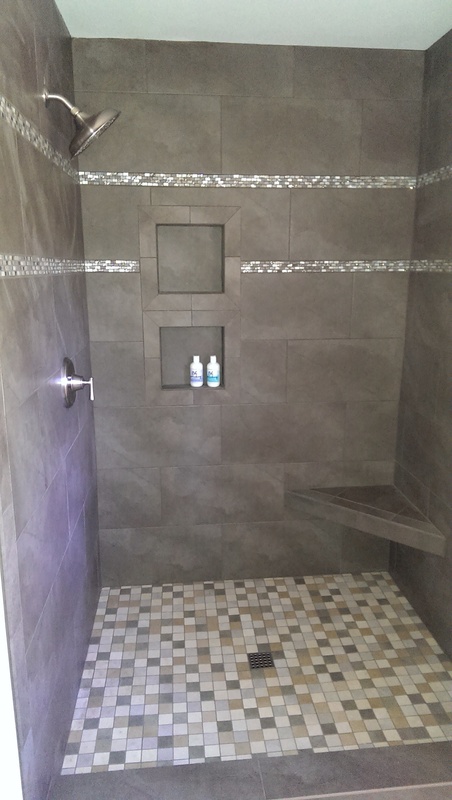 Customers today want larger tiles like 16×16 or 18×18 to be the feature on their bathroom floors while their shower floors are going to smaller mosaic type tiles that are less slippery. Travertine tile is another very popular option for flooring as well as backsplashes over the vanities. 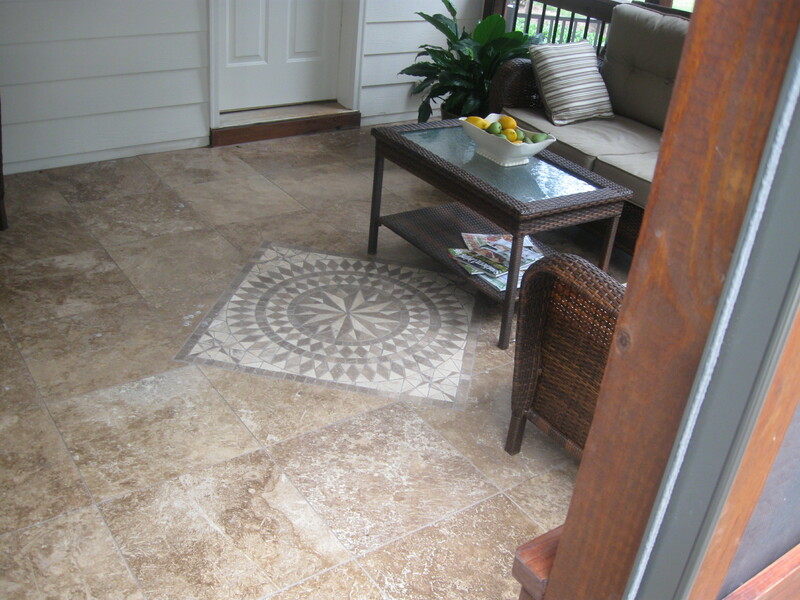 Travertine when sealed is not as porous and makes a beautiful real stone looking tile. When it comes to the shower wall tiles, we see medium sized tiles and rectangular tiles for those who want a more contemporary look. When you see the wall tiles, often the designers are impregnating them with glass or mosaic small decorative insert tiles to provide some flare. We often get asked about the price of the various tiles and it truly differs by substrate. Your travertine tiles are very reasonably priced as are the ceramic tiles. When you get into the glass and mosaic tiles, the price jumps considerably but these are typically used as accents and so therefore a relatively small amount is required to do the job. Grout is an important variable when it comes to aesthetics of the overall tile job as well as the performance. If you are mixing the grout yourself, make SURE you are following the manufacturer’s instructions as the key to getting the right color and consistency varies by producer! Please visit our web site to get great tile ideas and over kitchen and bath ideas at http://www.valueremodelers.com or come to our show room at 2311 Village Lake Drive in Charlotte, NC.